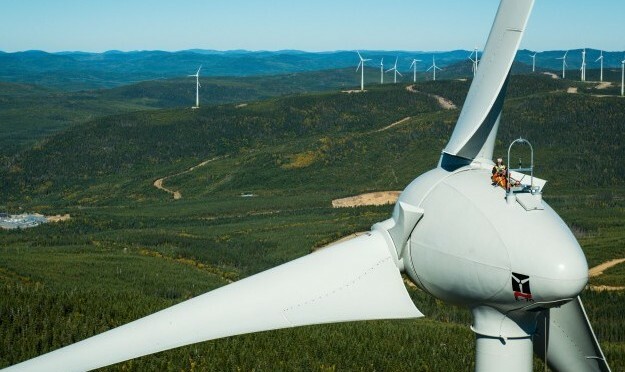 Boralex Inc. (“Boralex” or the “Corporation”) (TSX: BLX) is pleased to announce the commercial commissioning of the Moose Lake wind farm, located on Crown land approximately 24 kilometres northwest of Tumbler Ridge, British Columbia. Developed in partnership with Aeolis Wind Power Corporation, West Moberly First Nations, Saulteau First Nations and McLeod Lake Indian Band, this 15 MW wind farm includes four wind turbines. This commissioning brings Boralex’s installed capacity in Canada, France and the United States to 1,977 MW. The wind farm is covered by a 40?year power purchase agreement with BC Hydro. The power production of this wind farm is estimated at more than 58,000 MWh, which will enable it to meet the power needs of nearly 5,370 households and prevent 750 tonnes of CO2 emissions1. Boralex develops, builds and operates renewable energy power facilities in Canada, France, the United Kingdom and the United States. A leader in the Canadian market and France’s largest independent producer of onshore wind power, the Corporation is recognized for its solid experience in optimizing its asset base in four power generation types — wind, hydroelectric, thermal and solar. Boralex ensures sustained growth by leveraging the expertise and diversification developed over the past 25 years. Boralex’s shares and convertible debentures are listed on the Toronto Stock Exchange under the ticker symbols BLX and BLX.DB.A, respectively.